Security experts have their say on this week's attack. With the world seemingly still trying to recover from last week’s Marriott hotel breach, which impacted roughly half a billion individuals, the Quora attack is another reminder for organisations to ensure security is in check. 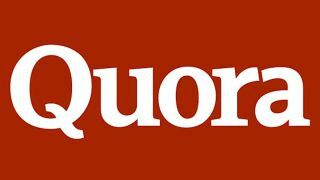 As a security measure, Quora is logging out those that are suspected to have been affected. The company is also sending out a password reset. The first line in Quora’s statement is rather telling for Julien Cassignol, senior IAM and PAM solution architect at One Identity, who feels Quora has a lot to answer for regarding their security. “Firstly, Quora stated, “some users data”. Which data was accessed and compromised? Who accessed what? What was the motivation for that access? This clearly underlines the need to enable companies to be able to audit accesses made to data, both by automated actions and users. Deploying a sound logging infrastructure and enable auditing of privileged accesses to data provides this type of information. “Secondly, the breach was initiated “by a third party”. How could a third party have the access to such sensitive data? How were they identified? Did they have the appropriate entitlements to access this data? Having a proper repository containing this information is therefore necessary. It should also be a requirement for organisations to log the reason why access is given to individuals or third-party organisations. This entitlement and the automated process to revoke these rights, if they're not appropriate anymore, isn't just optional – it has become standard procedure. And so, another day, another breach.